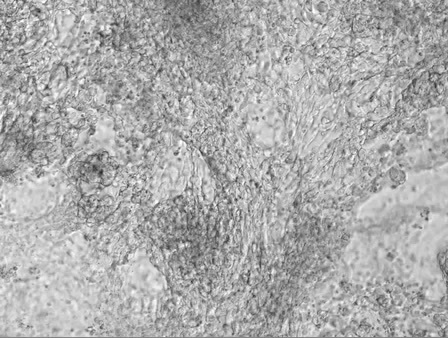 Beating areas in differentiated Mesp1-expressing cells. Time-lapse imaging of Mesp1-GFP–expressing cells after 8 d of differentiation after their isolation and replating at D3 of ESC differentiation. Video displays 15 images/s.